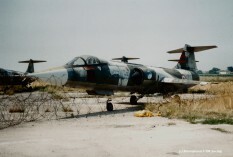 This former Dutch Air Force TF-104G crashed near or at homebase Balikesir. 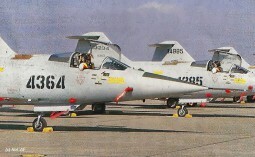 Both pilots Hv. Plt. Kur. Bnb. Sahir Beceren (39) and Hv. Plt. Ütgm K. Ümit Ortac (26) were sadly killed in this accident. Cause unknown. (USAF serial 56-844) It crashed this day when encountering a compressor stall just after taking off. It crashed near Taichung Port (Tai Zhong harbour). Pilot Guan Jen-Fu (27) was sadly killed. 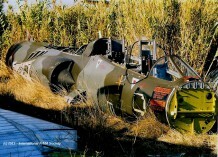 This was the last crashed F-104A Starfighter. 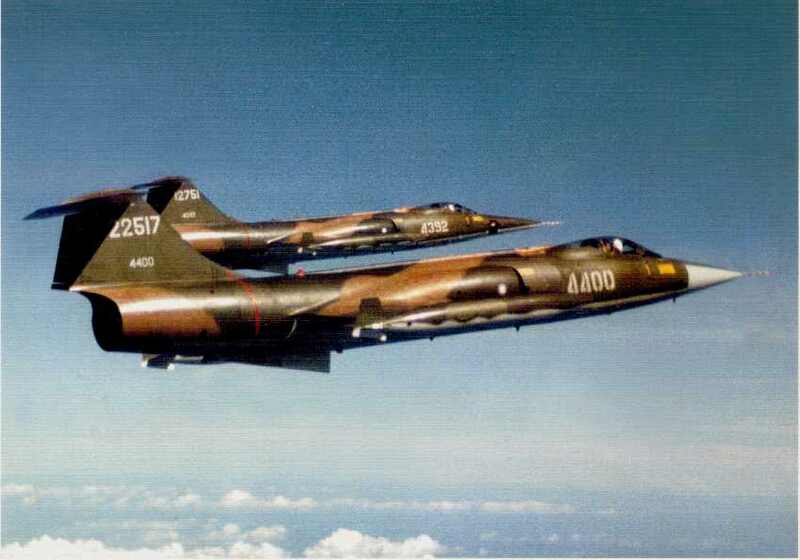 Photo of aircraft 4243 are rare, this one beneath was obtained from the RoCAF. 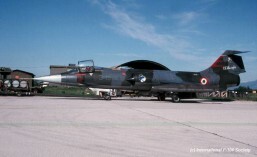 This Starfighter crashed near or at homebase Balikesir due to an unknown cause. The pilot ejected safely. This Starfighter was lost in a crash at or near Murted Air Base due to an unknown cause. 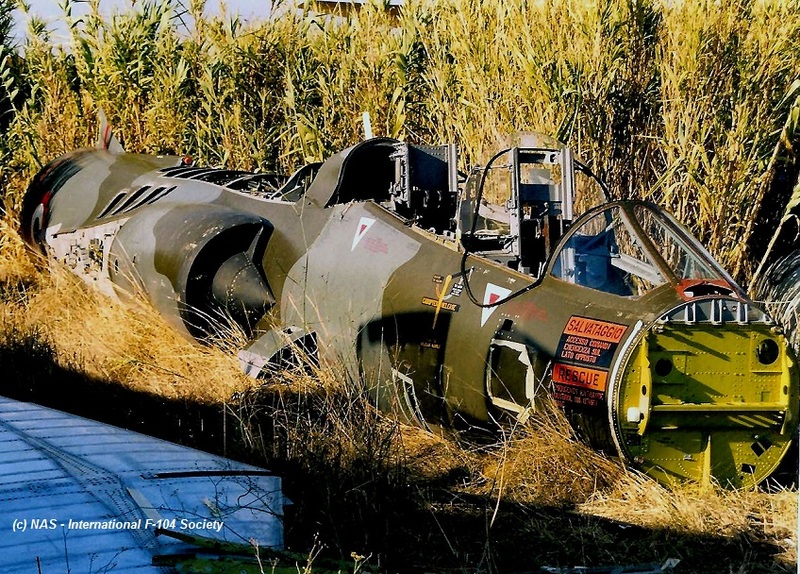 Both pilots were ok.
(USAF serial 61/3084) It crashed in mountain area in Northern Taiwan (Chiao Hsi (Jiao Xi) in I Lan County, after encountering a flame-out. 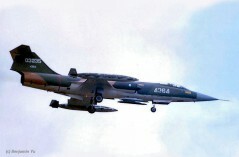 Both pilots, LtCol Pan Do-Tai and Capt Li Der-An ejected safely. Li walked along a water pipe and found mountain police. They helped to organize a search and rescue and then they recovered Pan. It encountered a nosegear collapse at the runway of homebase Bandirma. Both pilots could step out. 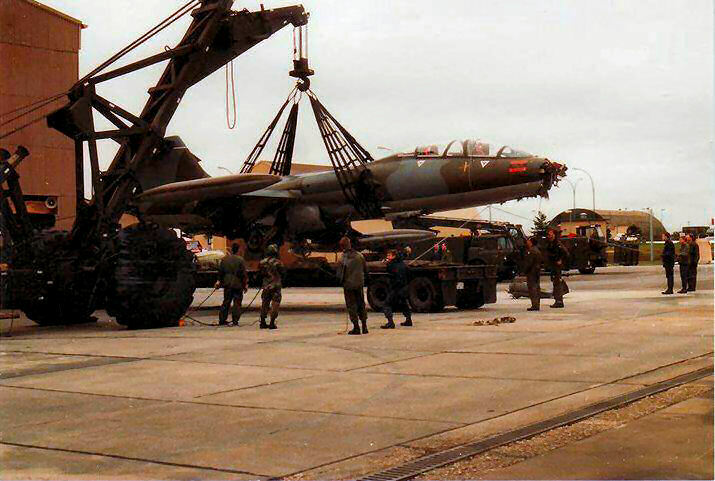 The aircraft was declared damaged beyond economical repair and was stripped and scrapped later on. Photo thanks to Orhan Yuksel. (FMS serial 46-8569) It crashed after take off from likely CCK airbase due to unknown cause. The pilot ejected safely. 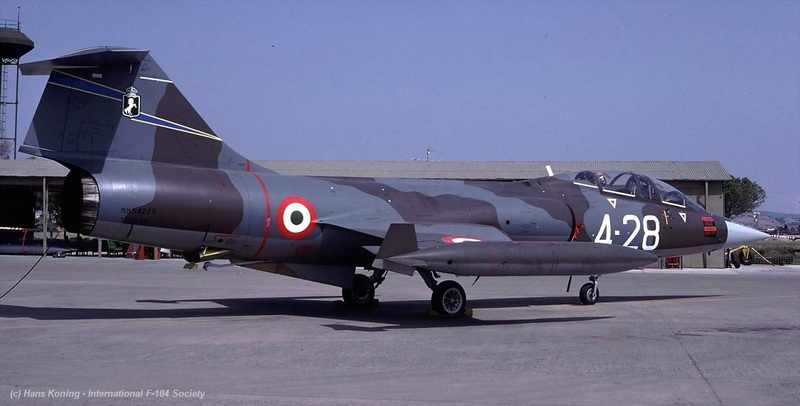 This Starfighter crashed near Trapani-Birgi while making a barrel roll at very low altitude with flaps configured at "TO", for a movie. Montagna was an NCO photographer. 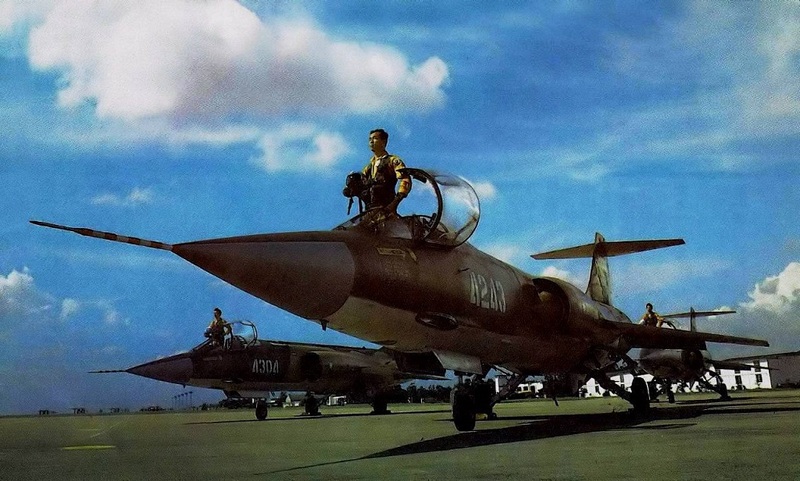 At that time the Italian television made a fiction named "Aquile" (also found on youtube), a history of young pilots in the Italian Air Force and for this they worked at Trapani AB. The flight of TF-104 should be a part of this fiction. Both crew members pilot Major Piero Vidale and Serg. Magg. 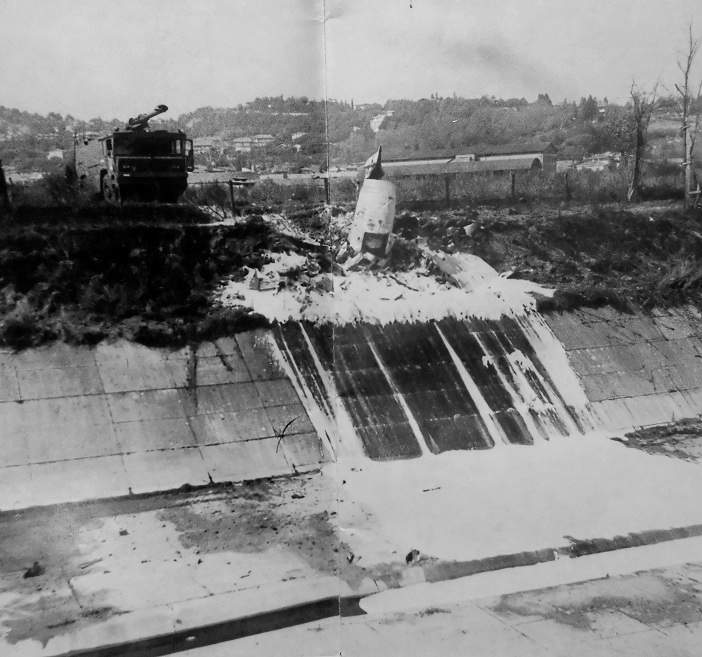 Giovanni Montagna were sadly killed in this tragical accident. 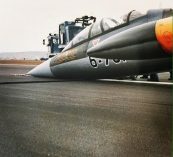 Beneath a photo of this aircraft, taken at homebase Grosseto in August 1986 by Hans Koning. This Starfighter crashed near or at homebase Murted due to unknown cause. Gladly the pilot was ok. It was damaged due to unknown reason and inspection resulted in the aircraft being declared wo in 1993. No casualties, pilot was ok. Beneath two photos, the first one showing the aircraft while landing at CCK in the 70s. 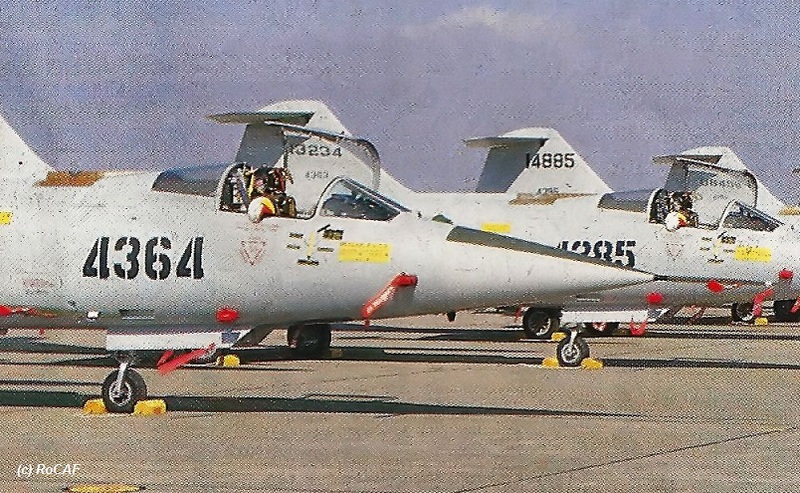 the second aircraft when it just had received the light grey overall color scheme. This photo was taken late 80s. It crashed just after takeoff from homebase Villafranca (Verona). The pilot Cpt. Sandro Sordoni (30) was sadly killed. It was stated that the pilot retracted its flaps in stead of retracting the landing gear, so the aircraft, with reduced drag, hit runway again. The crash resulted in a big fire at the airbase. Beneath a photo taken of this aircraft late 80s. It crashed near homebase Balikesir due to unknown cause. Pilot Lt Sabri Aksu (26) was killed. 19 August 1988 F-104G 4373 2TFW RoCAF written off pilot ? 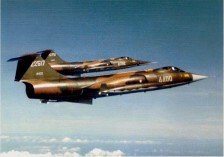 (USAF serial 63-13252) It was written off this day due to unknown cause. Likely the pilot safe but unconfirmed. (FMS serial 46-8627) It crashed into sea after take-off due to unknown reason. Pilot Capt Chen ejected safely. It crashed when encountering technical problems just after takeoff from Rimini AB. Pilot Capt. Dario Aloisi ejected safely but was slightly injured. He managed to fly the aircraft away from populated area before ejecting but nevertheless 1 person (23) on the ground was injured. 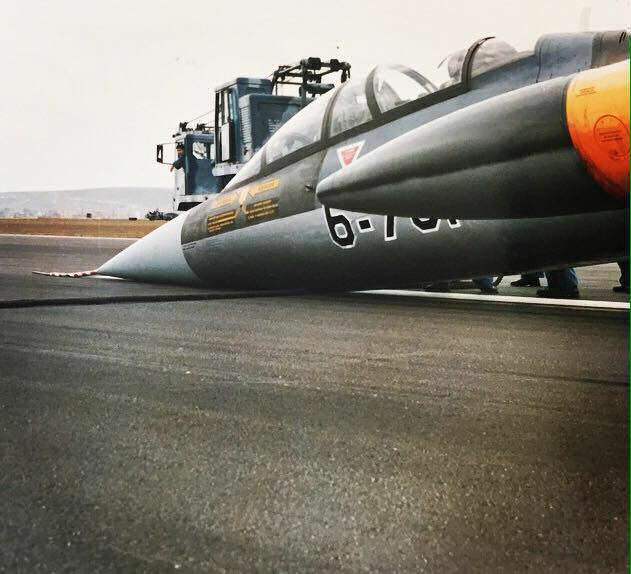 This could have been lots worse if the pilot had ejected immediately. 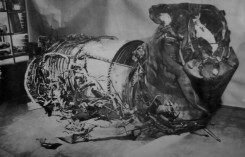 Beneath a few photos showing the remains of the engine and the impact location (AMI flight safety magazine). 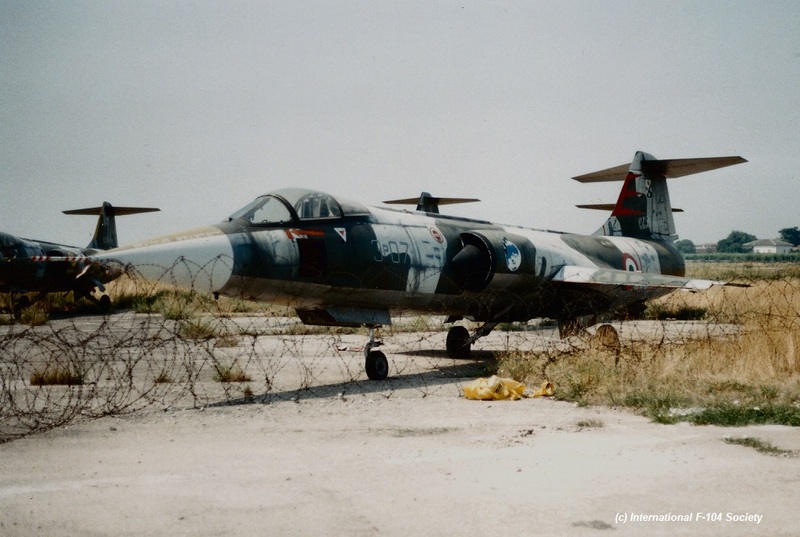 On this day this Starfighter was lost at or near home base Murted. The pilot was ok. This TF-104G was delivered (ex Luftwaffe) by the Alenia factory to Grosseto 20 Gruppo on 21 September 1988. It had not yet a serial applied when one month later it flew to Bitburg. There it made a very heavy landing, collapsing its landinggear, and skidding over the runway. Both pilots decided to eject but finally the aircraft stayed in one piece with lots of damage to its belly.. The pilots T.Col Landi and T.Col Tedesca were ok. Aircraft was declared written off at Alenia late 1988 and put in storage. The wreck was seen lateron on the dump (from at least July 2001) at Grosseto and still had no code “yet” applied although code 4-43 had already been assigned to it (administration). 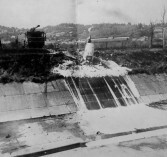 Beneath a photo taken at Bitburg in October 1988 and one taken at the Grosseto dump in 2001 showing the remaining fuselage. 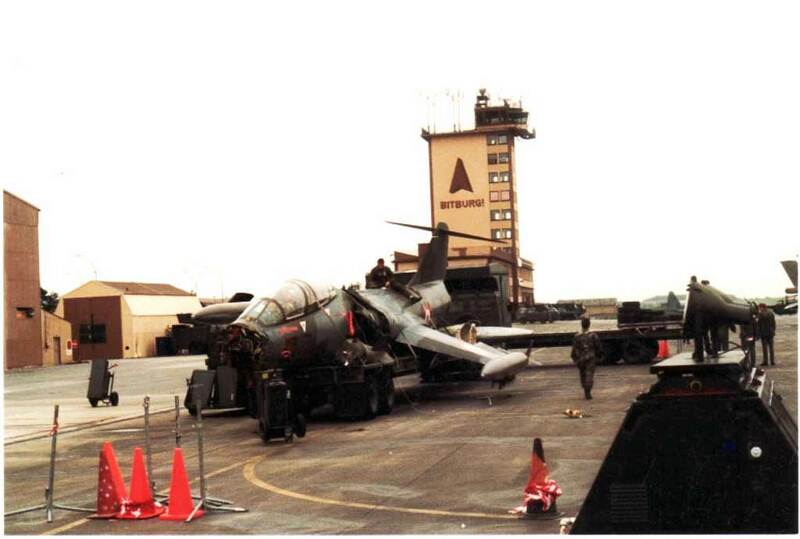 It suffered cat3 damage at homebase Villafranca when its undercarriage leg failed while landing. It could be repaired but actually never flew again...It was officially declared written-off on 1 February 1989. 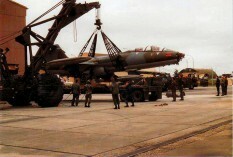 Later on the aircraft was used for spare-parts. Beneath a photo taken in June 1993 at the storage area of Villafranca showing what has left of MM6588 after cannibalization.